Geometry gives me bad flashbacks. Abstract theorems and impossible proofs are still the stuff of nightmares. And yes, my teacher was a nun who rapped your knuckles with a ruler when you were on the edge of making a mistake. When it was Anna’s turn to have a go at the dreaded subject a couple of years ago, she and my husband bickered their way to solving a proof. Why then did I commit soon after to sitting through at least one on-line tutorial on basic geometry? Field work or, to be more exact, virtual field work to check out the latest sensation in on-line education—Khan Academy. Could Khan Academy live up to its intense hype? You tell me. Four tutorials later I was answering SAT-level questions on angles. Correctly. Khan Academy itself is a growing collection of 2200 videos—ten-minute lessons ranging from basic arithmetic to vector calculus. Salman Khan, a former hedge fund analyst, is the founder of the virtual academy. Khan began his excellent adventure in education 7 years ago when he remotely tutored a young cousin in algebra. Logistics soon made it difficult to schedule their lessons in real time. A natural problem solver, Khan posted his lessons on YouTube so his cousin could watch at her convenience. He soon realized that his cousin preferred to see him on YouTube rather than interact with him in person. On YouTube she could pause the video or watch it multiple times until she understood the lesson. 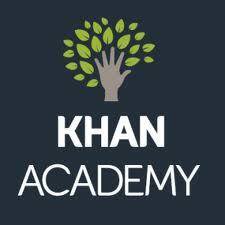 After a couple of postings the videos went viral and Khan Academy was launched. Much of Khan’s success lies in the fact that each of his videos tightly focuses on one concept. He coolly narrates every step of a problem with simple illustrations he sketches on a simulated blackboard. By 2009 Khan quit his job to build an educational video library that further encompassed subjects such as United States history, finance and biology. Since its inception, the virtual Khan Academy has attracted over 50 million views and its videos have been translated into 7 languages. What makes Sal Khan at just 35 qualified to teach so many diverse subjects? With a dual degree in mathematics and electrical engineering from MIT as well as an MBA from Harvard, he’s obviously a smart guy. Perhaps most importantly, Khan is a gifted educator willing to immerse himself in various disciplines. He’s the sole voice of all the Academy’s videos and his affability stems from his endless patience and clear teaching style. He’s also strategically self-deprecating, humanizing him as both a person and a teacher. But Khan is also data driven and tracks how engaged viewers are during a lesson. For example, if he notices that a number of users fall off at the same point in a video, he’ll go back and tweak the content. He also captures information on students’ progress, demonstrating the success of self-paced instruction for a struggling pupil. A couple of years ago Khan Academy debuted in the classroom in California. Part of the experiment was to flip homework assignments and in-class time by assigning students to watch Khan Academy videos for homework. The actual nuts and bolts of problem solving took place the next day in the classroom. When Khan’s self-paced lessons replaced the “one-size-fits-all” educational model a couple of things happened: supportive peer groups evolved in the classroom and students who were “behind” caught up more quickly. Khan doesn’t follow a particular curriculum. His only goal is to impart “a deep understanding” of a given subject. Deep understanding goes hand in hand with mastery. And mastery happens when a student has the opportunity to delve into a subject. Khan’s latest software can generate hundreds of exercises until a student solidly understands a concept. For me, it was figuring out the value of interior angles in a given shape. My basic understanding began with knowing that a circle is 360°–a fact that Khan repeated until it felt natural and intuitive. Khan has thus far passed on taking venture capital money. His funding currently comes from the Gates Foundation and Google. “When I’m 80,” says Khan, “I want to feel that I helped give access to a world-class education to billions of students around the world.” To that end Khan Academy’s videos are free to anyone who can get an Internet connection. This year Adam is taking geometry and Anna is tackling calculus. When they get testy over math homework, I send them to Khan Academy. Or better yet, I offer them more than moral support after viewing the relevant video myself. Faboulous, Judy. I’m forwarding this to each of my grandkids and their families.